Make your home the place to visit for dinner parties with our contemporary Asian dining room furniture. It will be the toast of the town! 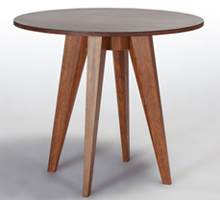 We offer beautiful hand made contemporary Asian furniture for your kitchen and dining room. 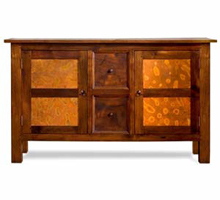 We import handcrafted dining room tables, dining room chairs and Asian cabinets made from reclaimed wood. Asian sideboards are an especially popular choice because they add a bit of flair as they serve a very important function - keeping your dishes and silverware safe and free from dust. Reclaimed wood not only helps to preserve the environment but also makes for top quality furnishings because the wood has had time to harden. 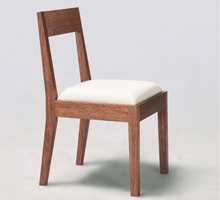 It makes perfect dining room furniture for those who wish their furniture to last for years. Reinvent your dining room with authentic modern Asian furniture pieces. Ranging from more antique styles and finishes to more modern tables and chairs with clean lines and metallic finishes, there is sure to be a dining option that will be perfect for your space. Our collection is sure to give your dining experience that ethnic look you're looking for. It's up to you to cook the meals to match! Our goal has been to import contemporary Asian pieces to turn your dining room into an exotic and elegant place to gather. The dining room is the most common place for special gatherings-- now you can make these moments even more special with unique custom made Japanese and Balinese furnishings.